History of Nova Scotia; Book.2; Part 5; Ch. 7. "The Halifax Station." Ch. 7 - The Halifax Station. Though written a dozen years after the end of The War of 1812 , Moorsom was to record that there was "harmony, and good feeling subsisting between the garrison and inhabitants of Halifax ..."2 On summer nights the whole population turned out to hear the regimental band. One of the great functions of the week was the Sunday church parade of the garrison to St. Paul's Church, which had been built from timbers brought up from Boston in 1749, the year that the British had established Halifax. On these occasions the scarlet and ermine of the chief justice vied in splendour with the gold lace of the admiral and of the general. Halifax through war years -- then and ever since -- was always well supplied with goods that filled the holds of merchant ships. Directly the war broke out in 1793, two French Prizes were brought into the Halifax Harbour on the 2nd April by H.M. Ship Alligator, with cargoes valued at £40,000.3 Throughout the war, those at Halifax were not about to starve. In some commodities, Nova Scotia was better supplied than England.4 Flour, for example, headed for the bakeries in France, was taken out of the holds of captured vessels (prizes) in great quantities and dumped on the Halifax market. Halifax benefited not only simply by the availability of the goods from the ships seized, but because the coming in of more and more prizes reduced the prices of such goods at Halifax.5 Not only was flour available for the baking of fine breads, but also there came by the same route, wine and brandy, and fine linens from Ireland. Latitude 44º39'26" North, longitude 63º37'48" West: this is the position an ocean navigator would give if asked for the location of His Majesty's Dockyard, Halifax. It is not likely that such a precise nautical location could have been given back in 1759, when Governor Lawrence signed over a piece of land on the Western shores of Halifax harbour. I am not able to say how large this first piece of land might have been, but 20 acres was added on in 1783. For the "intent and purpose" of a "hospital for the reception of sick and hurt seaman of H. M. Royal Navy. "6 In 1790, more land was added for a Careening Yard, and in 1814, more land was taken for the admiral's residence. The establishment of a dockyard meant a great deal to the people of Halifax. It was a source of employment. Well, while it might be that the officers of the navy in general liked Halifax and preferred it to Bermuda, the comparison can only be made in the summer. It is clear they liked Bermuda better in the winter. In April of 1808, Sir George Prevost arrived at Halifax bringing with him 3,000 soldiers. 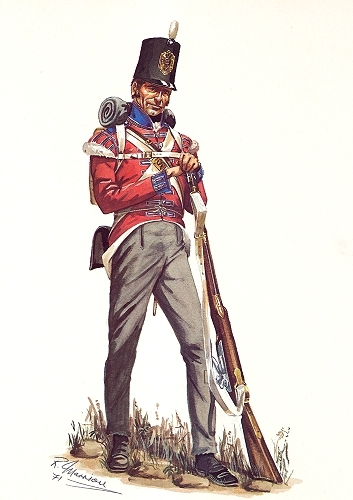 The troops sent with Prevost were meant to reinforce both Bermuda and Nova Scotia. The ship Penelope, in which he embarked, had the transports under her convoy, one of which parted company three days after they left Spithead. In any event all the soldiers reached Bermuda during March. Leaving the 13th Regiment behind, the rest made a stormy passage to Halifax.13 A few days after their arrival, one of the regiments, the 101st, marched off to Annapolis Royal. Prevost brought with him his commission signed by Castlereagh making him the Lieutenant Governor of Nova Scotia replacing Wentworth. Wentworth had no advance warning that he was to be replaced. The official notice of the appointment, addressed to Wentworth, came in a ship 18 days after Prevost's arrival. 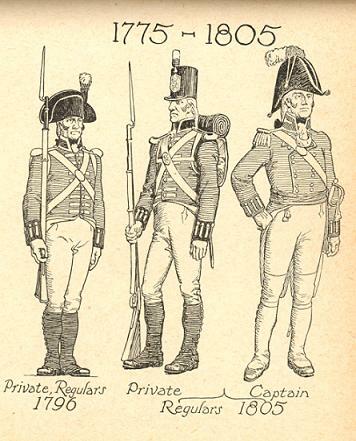 By 1808, the new army uniforms were making their appearance. The troops wore shakos, short haircuts, red tunics, and trousers. In 1798, Prince Edward put names to all of the major defensive installations in and around the Halifax Harbour. Impressment was a rough-and-ready method of recruitment. 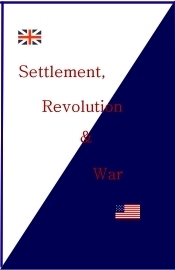 It was thought that there was no disservice to the community to take into the navy or army "vagrants, and men who could not give a satisfactory account of themselves, and giving them the option of serving His Majesty or going to prison. "27 More likely, no options at all were given: "These raids on seamen were not always conducted on 'rose-water' principles, and the slightest resistance met with a cracked crown, or worse. "28 From Perkins diary, we read: "27 June, 1805, ... There is a boat on shore from the armed schooner and the people are apprehensive of a press which makes some rumpus. Three black men come & take shelter in my house and said they were chased by the men of war people." Once a seaman was impressed into the Royal Navy, he was in His Majesty's service until the crew was paid off29, say, at the end of the war. In the army it was a little different. Back then, the law provided that, for a certain time period beyond the enlistment, a man could get himself released. What was necessary was to return the money -- refereed to as the King's shilling -- given to him at the time he signed on, plus an additional sum which was called smart money. Trouble was that these young men rarely had any money. So, it was usual for the young man's family to come up with the necessary funds. The total sum was paid to the enlistment officer who would normally divide it among his recruiting party. Perkins in his dairy, in an entry dated July 21st, 1804, made reference to a young man by the name of Peter West, who "in a fit of intoxication enlisted himself with Sergeant Paterson of the Nova Scotia Regiment by taking ... cash." Next day West made the rounds to obtain smart money so that he could buy himself out of the commitment. Perkins contributed. Men who privately owned sailing vessels for fishing or trading were careful to carry all the necessary licenses. These licenses, issued by the government which was plainly on the side of those who were just making a living, were not so difficult to obtain.38 Certificates were also secured for seamen. Perkins wrote on May 23rd, 1803, of an occasion when two schooners had sailed from Liverpool, "I [in his capacity as a town magistrate] gave them certificates for their men that they belong to Liverpool and its neighbourhood. They carry ten men each."